The T-34E STZ is a Rank II Soviet medium tank with a battle rating of 4.0 (AB/RB) and 3.7 (SB). It was introduced in Update 1.49 (1.70.1945) "Weapons of Victory". An up-armoured version of the T-34 (1941) tank, the T-34E STZ utilizes much improved frontal hull armour in comparison to the standard T-34 tank. This tank has great front protection and while not invulnerable, many enemy tanks will have difficulty knocking it out. The rest of the tanks armour is decent, but nothing that is too difficult to penetrate. 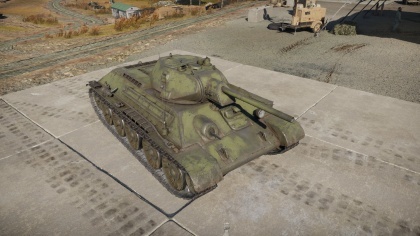 While the extra armour of the T-34E STZ greatly increases frontal protection it does slow the tank down. This combined with a great gun and a large selection of ammunition types make this tank a jack of all trades. The applique armour in the front does not cover the entire front hull. Ammo racks of the T-34 (1940) (identical to T-34E STZ). There are two main ways to utilize this tank. The first is by staying at long range, and using the frontal armour and good gun to pick off enemies. When at long range remember that the front turret is the greatest weakness of this tank so try to not look directly at enemy during reloading. The second is as a close range brawler, when using the tank in this manner make sure to watch the flanks. Both of these methods are equally viable, close range seems to be where this tank does a little better. The first option is to go straight for a cap point and find a good position just outside or just inside the point. Any position that has a good overwatch of the cap point or the approaches to the cap point will do. Once in position try to knock out any tank that tries to approach the point, make sure to properly angle the armour to maximize protection. If aware of where the enemy is coming from, it is easy to maximize the armour protection and engage enemies with an advantage. Always engage in the most favorable conditions, this means don't hesitant to retreat if starting to get overwhelmed. If the enemy follows through while retreating, they could expose themselves to allies to take them out. The second option is to try to flank around the and approach the enemy from an angle they might not expect. When doing this try to make sure to have a good knowledge of the terrain, since choosing the wrong path means a bad encounter and demise. A good path is one where enemies appear in a predictable location and allows for disengagements with easy withdrawal. Ideal paths have a hill between the T-34E and the enemy, allowing the T-34E to maneuver slowly round the hill until the enemy is in sight. Once the enemy is sighted, engage if applicable. If the enemy starts charging, fight a fighting retreat using the hill as cover. However remember if moving around the flanks, it will be harder to receive team support if away from the main body of allies. 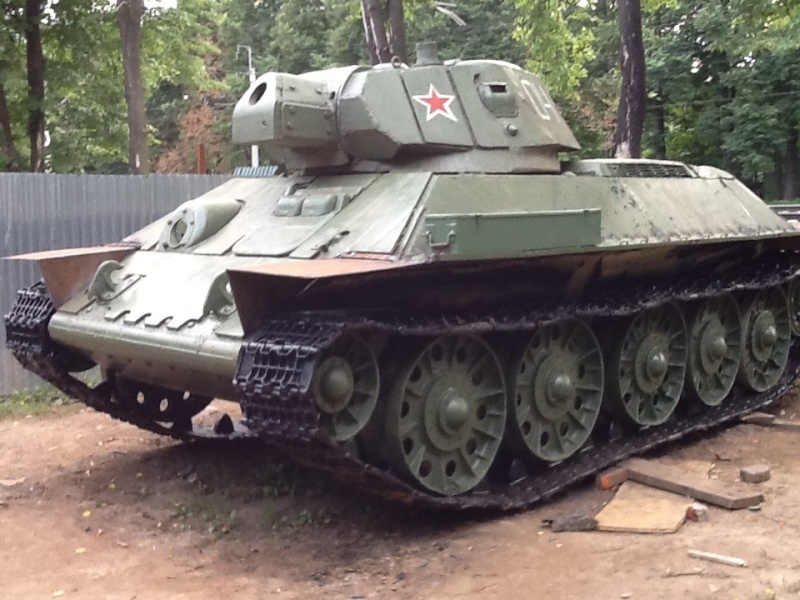 Urban settings can be challenging for the T-34E STZ. The reason for this is while the frontal armour is great, in the chaos of urban combat means that no one may know where the enemy is at. Another problem; while the front armour is good it does have a number of weak spots which can be easily targeted at point blank range. With that in mind, play the STZ as in a 1941 or 1942, and do not rely on the armour as with a KV-1. Try to use the flanks and side streets to get into firing position where enemies can come from a predictable path. This will allow maximum usage of the T-34E's the mobility and protection to the fullest. The T-34E's agility is its main defense in these settings. In this type of environment, tank destroyers will always reign supreme. Their combinations of high-power guns, low profile, and tough frontal armour makes them great long range combatants. However, the T-34E's armour allows the tank to play along, but always remember that it is not invulnerable, and while the F-34 gun can not match those of tank destroyers', it can still get the job done. This means that the T-34E should not position itself in the open and take shots, try to find a location where the tank is protected from most angles and focus on one enemy at a time. By focusing on one tank at a time, it will minimize the odds of a lucky shot hitting a weak spots. This is the type of environment where T-34 STZ can really shine. The reason for this is that unlike in urban environments flaking can be a little more difficult. The average distance of engagement is longer, meaning the enhanced armour can do more than in urban environments. The more open nature allows the T-34E to make full use of the tanks mobility. When in this environment, there are a range of options and tactics to take on the enemy. 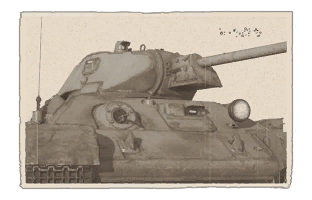 M4A3E2 Jumbo - The frontal armour on the Jumbo is difficult to penetrate even with APCR shells, and its gun is quite capable of penetrating the T-34E's frontal armour even when angled. If encountered, get out of its line of sight and try to flank it if possible. Its left side has a very large ammo rack that will send the Jumbo back to the garage if hit. Aim for the centre of the left side of the hull. Pz. 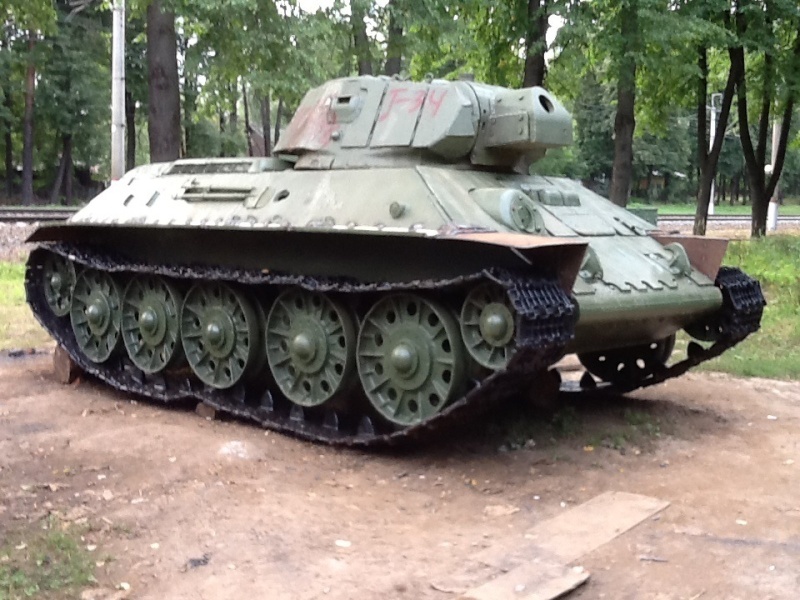 IV F2 - Despite its thin armour, the Pz. IV F2 has a gun fully capable of penetrating the T-34E's armour easily. If encountered, move to a safe position where it is still observable. Wait until it is not targeting directly at the T-34E, then shoot it in the main hull. Often one shot is all it takes. Alternatively, if feeling lucky, try to get the first shot off into the front of the tank. It should, if not an instant knock-out, at least disable a few crucial crew members and/or modules. M10 - This tank destroyer will comfortably destroy the T-34E with the 3-inch gun if it gets a chance to. Treat it like the Pz. IV F2, fragile but powerful. Make sure it isn't looking towards the T-34E's way, then shoot it in the main hull and it will, at the very least, fatally incapacitate it. M18 GMC - Fight exactly the same way as an M10 or Pz. IV F2. Achilles - An M10 with a more powerful gun. Treat like the M10, except more carefully. 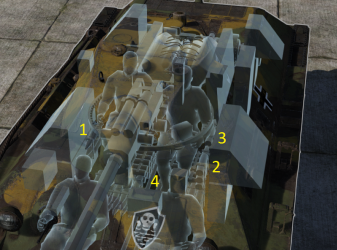 However, the poor turret traverse and long reload mean that if it's facing in a different direction or if it just fired, there is the possible risk of exposing the T-34E STZ and taking a shot into the main hull. Sherman Firefly - A Sherman with a more powerful gun. Its frontal armour, like all Shermans, is difficult for the F-34 gun to penetrate. Its gun is also more powerful than the traditional Sherman, making it even more problematic to deal with. If possible, engage from the side and fire into it. Otherwise, treat like the Jumbo and avoid entirely. M4A3(105) - Treat like a Sherman Firefly, an up-gunned Sherman. Avoid getting hit, as its 105 mm shells can cause major damage and perhaps send the player back to the garage. Try hitting the side or the gun mantlet to OHK or disable the gun respectively. The T-34 was beginning to become the main tank of the Soviet Army by 1941, however the initiation of Operation Barbarossa by the Germans postponed most manufacturing deadlines due to the relocation of various factories to the Ural Mountains to keep them safe from the Germans. During the movement, only the Dzherzhinski Tractor Factory in Stalingrad (STZ) stayed in production and produced most of the T-34s during the reloacation. To increase the survivability of the tanks, the T-34 design in the STZ factory was up-armoured by use of applique armour plates. These applique armour variants of the T-34 were called T-34E, with "E" meaning ekranami translates to "with screens" in Russian. These tanks were given applique armour throughout the entire vehicle, on all sides of the turret, one the front, on the sides, and even side skirts on the tracks. Some of the applique armour was placed in a way to act as spaced armour against enemy fire, which proved quite effective against the Panzer III's 50 mm KwK 39 cannon where the armour applied were on areas once vulnerable on the T-34 to the cannon. 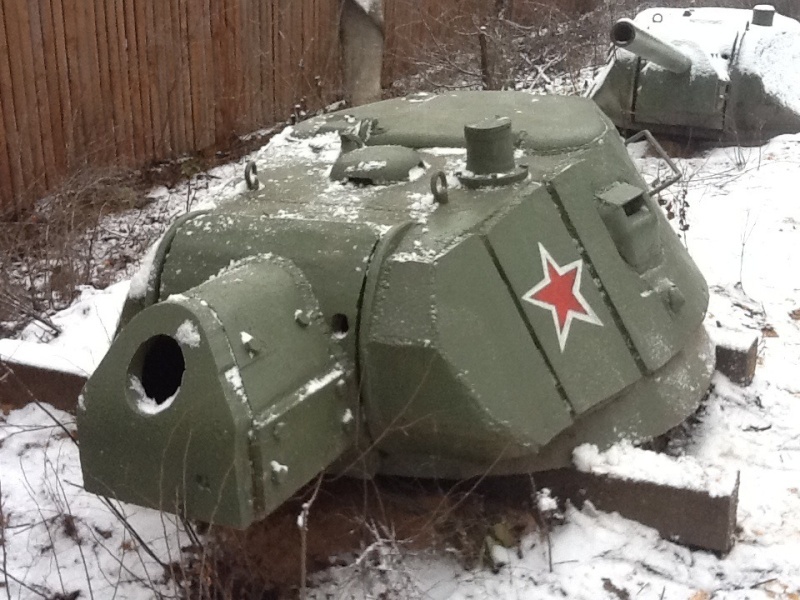 However, it was found that this additional armour did not help the T-34 against larger calibers such as the 75 mm PaK 40 and the 88 mm FlaK cannons. 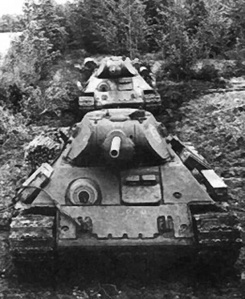 Due to the gradually growing number of tanks with the 75 mm and 88 mm, such as the upgunned Panzer IV and the Tiger I that could easily destroy the T-34 even with the armour application, the armour configuration was not placed into mass production and thus only the testing batch of 47 units were made from the design. 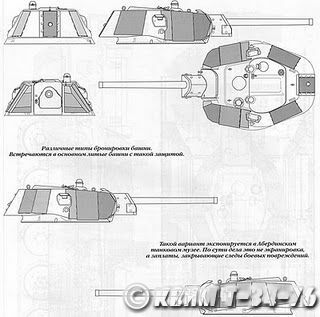 However, one armour applique model produced in STZ did see a more widespread use in the production line, though it still had the name T-34E as its main nomenclature (called the T-34E STZ in-game). This uparmoured model was more successful than the previous due to not drastically changing the design and only focusing on front armour protection by welding 15 mm of armour onto the front hull, thus minimizing weight gain by only focusing on the area most expected to be hit. The tank also featured redesigned road wheels and track designs. These T-34Es saw a more widespread use and have photographs showing it being used in the Leningrad Front. Skins and camouflages for the T-34E STZ from live.warthunder.com. Historical photo of the T-34E STZ on the Leningrad front.